*   As mentioned in above table, Phy[X] is in XL3 state and Phy[Y] is in XL1 state. *   As mentioned, due to Phy[X] XL state machine is in XL3, it is giving Phy Status (Partial Pathway) response to the ECM and this result in b) Arbitrating (Waiting On Partial) confirmation for Phy[Y] XL1 state machine. *   Even as asked in Question 1), if PHY[Y] XL state machine may face  a) Arbitrating (Normal) confirmation from ECM due to PHY[X] situation. 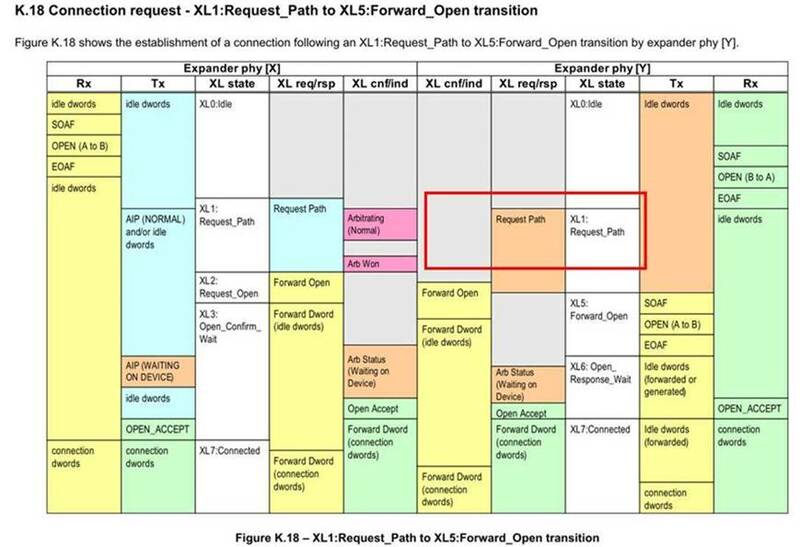 It is also blocking situation for XL1 to XL5 state transition of Phy[Y].